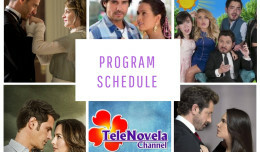 The Two Sides of Ana: Episode 39 | TeleNovela Channel - Bringing you closer to lifes drama. Humberto demands Ignacio to stop harassing Marcia after discovering that Ignacio tampered with the elevator on purpose. Meanwhile, Ana tells Vicente that Ignacio kissed her against her will and he hits Ignacio. Vicente tells Humberto that Ignacio is back on drugs and expresses his dream of becoming a writer.